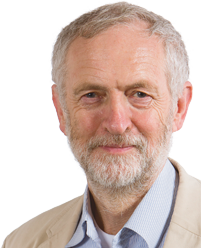 Below is the text of the speech made by Jeremy Corbyn, the Leader of the Opposition, to the Fabian New Year Conference on 16 January 2016. The absence of fairness and the wish for more of it is what drives us into political activity. We want a fair treatment for all, a fairer society and a fairer world. Like Tony Benn said “Democracy transferred power from the wallet to the ballot. What people couldn’t afford for themselves, they could vote for instead”. We are committed to a publicly owned railway, to bring down fares and to get investment in a modern railway – which would be governed not remotely from Whitehall, but by passengers, rail workers and politicians, local and national. To democratic control of energy, not as an end in itself, but to bring down costs and to transition to carbon-free energy. Do you know half of German energy suppliers are owned by local authorities, communities and small businesses? There are now over 180 German towns and cities taking over their local electricity grids, selling themselves cleaner, and cheaper, electricity they increasingly produce for themselves That is something we as Labour should want to emulate – and the most innovative Labour councils are starting to do so.